Maserati 4CLT /48 was produced from 1948 to 1951. The first variant of the 4CLT earned its nickname from the title of the first race for which it was entered: the 1948 Sanremo Grand Prix. The name stuck, as Alberto Ascari took his 4CLT to victory in its maiden race appearance. 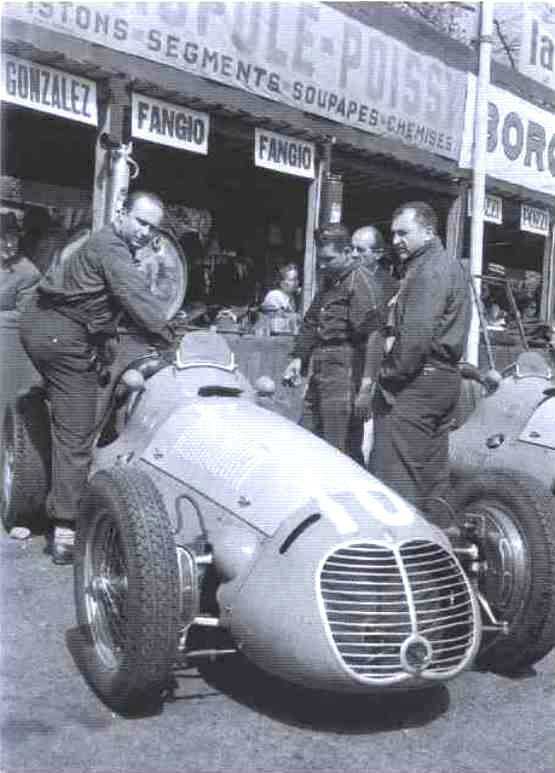 A portent of things to come, Villoresi and Reg Parnell won five of the 1948 season's remaining races. After the introduction of the modified 4CLT/49 chassis the following year, two of the remaining '48s were converted to 1720cc for the Temporada Formula Libre races in Buenos Aires, Argentina. In the first year of the Formula One World Championship, a '48 scored what was to be the Maserati's best Championship finish, when Louis Chiron took third place at his home Grand Prix: the 1950 Monaco Grand Prix. 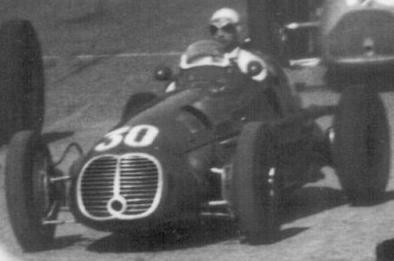 The last 4CL variant to compete in the World Championship was a 4CLT/48 modified by the Arzani-Volpini team, that failed to even qualify for the 1955 Italian Grand Prix. Minor modifications to the brake drums, switching from vanes to slits for cooling, along with small changes to the cockpit control layout and a repositioned oil header-tank resulted in a car sometimes referred to as the 4CLT/49. It was never known as such by the factory. The Ascari/Villoresi/Parnell trio, joined by Juan Manuel Fangio and Toulo de Graffenried, took up where they had left off the previous season, winning nine of the first fifteen races of 1949, including de Graffenried's victory in the British Grand Prix. However, the second half of the season only saw three further wins, as increasingly competitive Ferrari and Talbot cars squeezed out the Maseratis in most major races. A '49-spec 4CLT was modified by the Maserati factory to accept a more powerful OSCA V12 engine. Maserati 4CLT /50 Designer:	Massimino, Bellentani & Gorrini . 1950 saw the introduction of the FIA Formula One World Championship. In response to improvements to the Alfa 158 and the already competitive Ferrari and Talbot, Maserati again upgraded the 4CLT's engine. A multi-part crankshaft, lightened and balanced rods, a more powerful pair of superchargers and changes to the ignition timing took engine output up to 280 bhp (209 kW). Coupled to shedding 10 kg (22 lb) from the car's weight, this brought the Maserati up to near-Alfa levels of performance. Although moderately competitive in short runs, the final upgrades proved to be too much for the decade-old powerplant's design and the 4CLT/50's Grand Prix performance was hindered by engine failures. The season's only F1 wins came in non-Championship events. 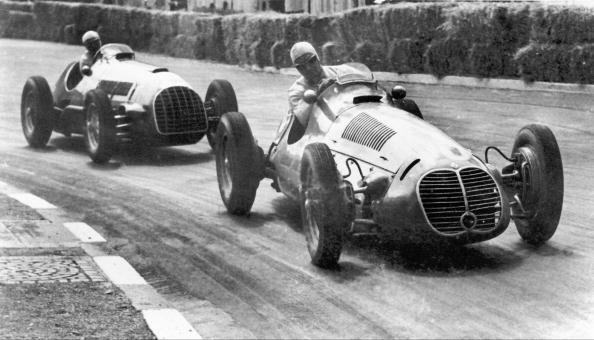 Fangio won at in Pau Grand Prix on the same day as Parnell took the Richmond Trophy at Goodwood, and David Hampshire won the Nottingham Trophy later in the year. Fangio also won the Formula 2 Ramparts Grand Prix at Angoulême, in a 4CLT chassis fitted with a A6GCM engine. The Milano team modified a '50 for use in 1950 and 1951, but without success. 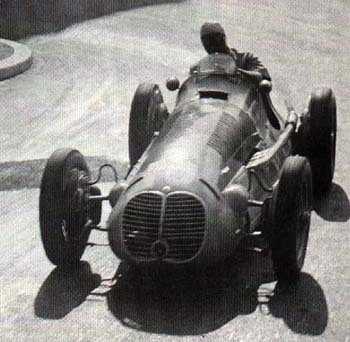 Maserati 4CLT-48 : Shown in Maserati records as Alberto Ascari's early 1948 car. To Reg Parnell 1949 for Fred Ashmore then raced in 1950 by David Hampshire and others as part of Scuderia Ambrosiana. Then David Murray's car for 1951. 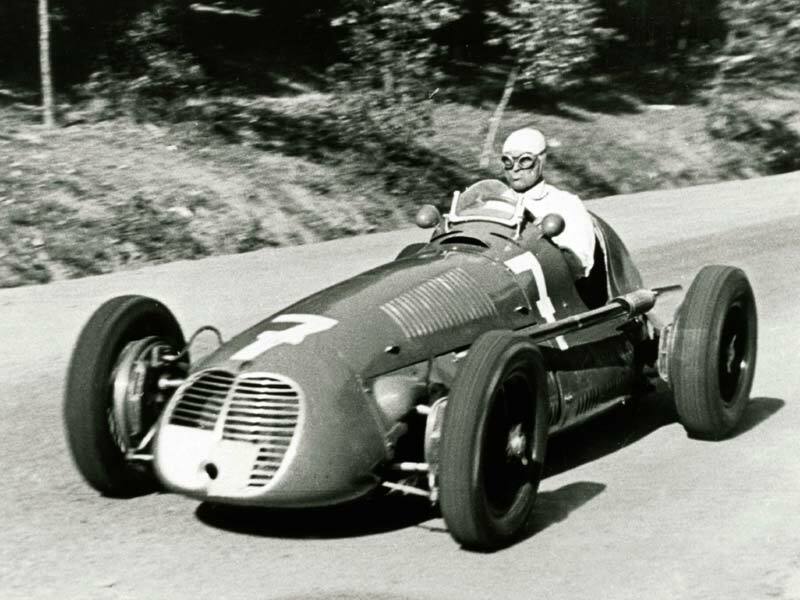 Crashed in practice at the Nürburgring for the 1951 German GP and not seen again. Maserati 4CLT-48 : Maserati records show this car going to Leslie Brooke 29 Aug 1948. Raced by Brooke through 1948, 1949 and 1950 and by Claes, still under Brooke’s ownership, at Goodwood Sept 1951. Then George Weaver in the US in 1952. In the 1980s the car passed from Virginia Weaver via UK and German owners to 1998. Owned by Wolfgang Wegner-Bscher (Germany) from 1998. Maserati 4CLT-48 : Maserati records list this as Reg Parnell's car dated 14 Sep 1948. 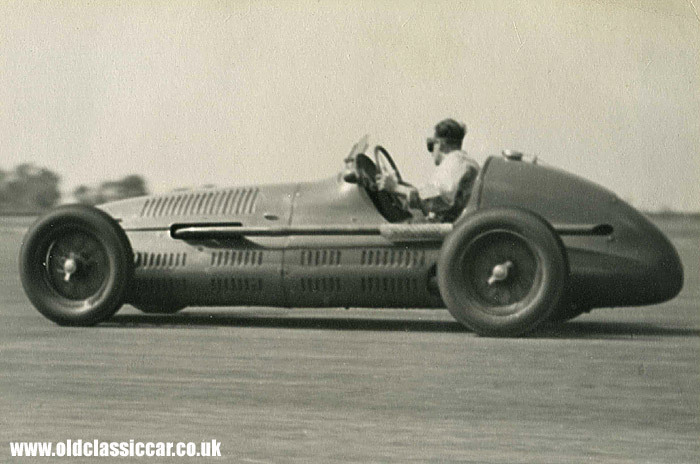 Raced by Parnell from 1949 to 1951, under the Scuderia Ambrosiana banner in 1950 and 1951, also by Hampshire in 1951. Sold or leased to Bobby Baird mid-1951 and then sometime after 1952 sold to Count Johnny Lurani. Lurani sold it in 1955 to Pat Hoare in New Zealand where it raced until the mid-1960s and then spent many years in the Queenstown Motor Museum. It was sold in 1982 and returned to Europe in 1989. Sold at auction a number of times in the late 1980s and 1990s. Owned by Max Lustenberger (Switzerland) from 1999. Retained 2004. Maserati 4CLT-48 : Maserati records show this car going to 'B. Bira' 23 Sep 1948. 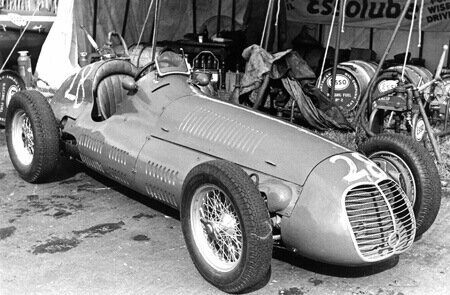 Bira raced 1948 British GP, 1949 Argentine Temporada and 1949 European season. Retained 1950 being used as Platé team car from Pescara. Raced by Harry Schell for Enrico Platé in 1951 then becoming one of two cars extensively rebuilt as Platé-Maseratis for 1952. Probably raced by Giovanni de Riu in F2 in 1953. Then sold via de Graffenried to 20th Century Fox for film work and then acquired by Tom Carstens (Tacoma, WA). Subsequent history unknown. Maserati 4CLT-48 : Built in 1949 for Automovil Club Argentina and under the ACA's "Scuderia Achille Varzi" banner raced by Fangio and others. Raced occasionally in Europe 1950 by Fangio then to South America 1950-52 for various ACA drivers. A car with this number discovered in Argentina in 2002. Owned by Daniel Sielecki (Argentina) 2002. Maserati 4CLT-48 : Built in 1949 for Automovil Club Argentina and raced by under the ACA's "Scuderia Achille Varzi" banner Malusardi and Benedicto Campos. Raced in 1950 by Jose Froilan Gonzalez and then 1950-52 by other ACA drivers in South America. Reportedly to Venezuela then via US, Japanese and further US owners to 1996. Owned by Jean-Louis Duret from 1996. Retained 2000. Maserati 4CLT-48 : To Enrico Platé for 1949 (dated 7 Mar 1949 in Maserati records) and driven by Emmanuel de Graffenried. Continued as de Graffenried's well-used car through 1950 and 1951. Probably one of two cars extensively rebuilt as Plate-Maseratis for 1952. Probably raced by Ottorino Volonterio in F2 in 1953. Sold with the sister car (probably 1598) by de Graffenried to 20th Century Fox for film work then sold again via Tom Carstens (Tacoma, WA). Subsequent history unknown. Maserati 4CLT-48 : According to Maserati records, this car went to Luigi de Filippis 8 Sep 1949 and was then driven by Clemente Biondetti 1949 Italian GP and in 1950 races by both de Filippis and Biondetti. Subsequent history unknown. Maserati 4CLT-48 : Maserati records state that this car went to Franco Rol 8 Sep 1949. Raced by Rol through 1950 until Rol's crash at Pedralbes 29 Oct 1950. Then raced by Adolfo Macchieraldo 1952-54. To USA, where Marguerite Morgan entered 1957 Indianapolis 500 but driver Danny Kladis failed to qualify. Reappeared in the US in 1965 then via a chain of US, UK, Australian, South African and German owners up to 2002. Owned by Wolf-Dieter Baumann from 2002. Raced by Thomas Steinke 2007 Goodwood Revival but possibly still owned by Baumann. Maserati 4CLT-48 : Shown in Maserati records as going to Louis Chiron in Monte Carlo 21 Sep 1949. Raced by Chiron through 1950 then to Toni Branca for 1951 and then de Walckiers (who entered Steve Watson and Pilette) for 1952. Reappeared Italy 1960s then via chain of Italian, Belgian, Swiss, German and French owners to 1998. Owned by Bernie Ecclestone from 1998. Maserati 4CLT-48 : To Enrico Platé for 1949 (dated 14 Nov 1949 in Maserati records) and raced by Bira up to Geneva 1950. Car fitted with a 4450cc OSCA V12 engine for Bira for the 1951 season. The OSCA was taken to Australia in 1955 by Bira as a spare car to his 250F and sold there to Alf Harvey who raced it from 1955 to 1959. The car then went to the UK for historic racing and was bought by Tom Wheatcroft in 1971. Subsequently in the Donington Museum. Maserati 4CLT-48 : Maserati records show this car going to Nino Farina on 14 Nov 1949. Driven by Farina in 1950 Argentine Temporada, at Albi 1950 and in 1951 non-championship F1 races. From Farina to the Schlumpf brothers and now in the Musée National de l'Automobile de Mulhouse. The car apparently wears the chassis plate 1602 (another Farina-owned 4CLT). Maserati 4CLT-50 : Listed in Maserati records as going to Officine A. Maserati 7 Mar 1950 and then Scuderia Milan. 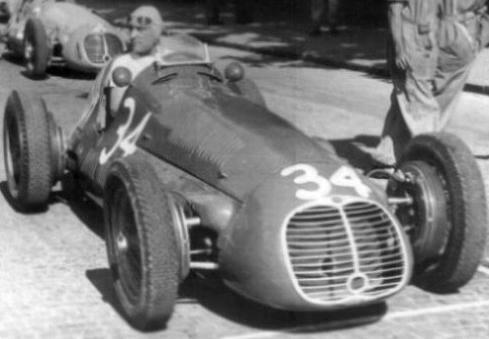 Used by Milan for second Milan (Speluzzi)-engined 4CLT and raced in 1950 (for Bonetto at Monza and Godia at Barcelona) and 1951 (Marimon at Reims and Landi at Albi). Subsequent history unknown but one of the Milan-Maseratis is owned by Doreen Fielding in Scotland. Maserati 4CLT-50 : Listed in Maserati records as going to Officine A. Maserati and then Scuderia Milan. It is not clear if this car ever raced.